"super soft leather and durable - great design to fit plenty of cards, license and other id's. Always a pleasure to do business with a company that benefits veterans - Thank you"
Luke is the Man! Customer service at its finest! 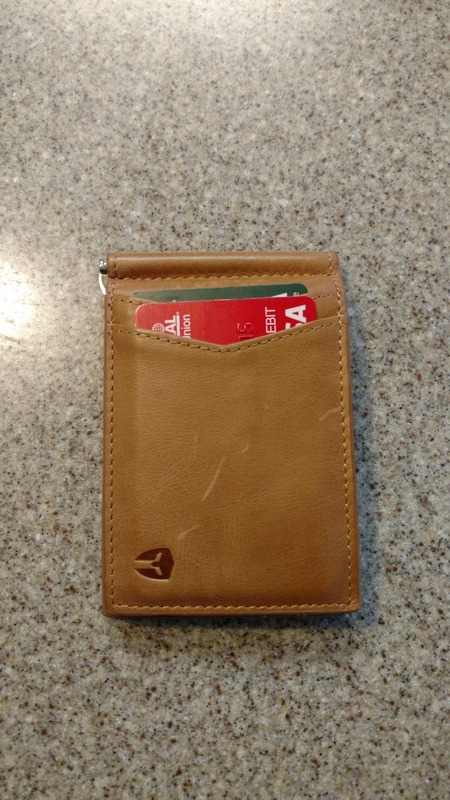 "I ordered my wallet after seeing it online. After days of tracking my shipment my local post office couldn’t locate my shipment. I contacted Luke and he looked into it as well. No one at usps could give us any answers. Luke sent me out another wallet no questions asked and for that they have a customer for life. Just got my wallet and I love it. I’m a wallet guy and have tried every brand from mastermind to the ridge, wise guy co. Hellbent etc. They are good wallets but Bryker Hyde is the one you want in your pocket. " "Just wanted to say how pleased I am with this bag. It is full grain and built amazingly well. I have the large size and use it to carry my laptop, charging cables, mouse, and miscellaneous connection stuff. It still has lots of room for folders, organizational area, and miscellaneous. I am converting from a backpack that is too tempting for a pickpocket with all the external pockets on my back. This flap and buckle design is clearly better protected from that concern. I believe small would be perfect for a minimalist, but for me would not carry enough “other”. This bag is really well made, striking, and will obviously wear and age to the patina I am looking for. I did a lot of research before selecting this bag and I clearly made a good choice. I won’t hesitate to buy from Bryker Hyde in the future." 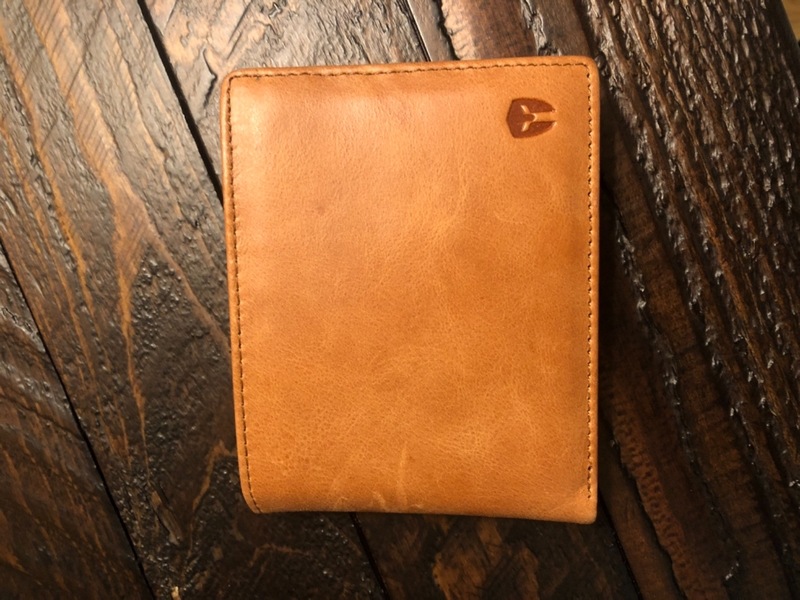 "This wallet has replaced everything I have collected as wallets. Thin, well made, plenty of room. It is an awesome wallet." 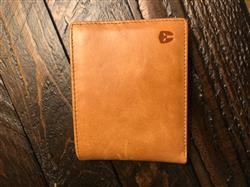 "Haven’t had it long but exactly what I was looking for"
"Recommend this to anyone that doesn’t like a bulky wallet. 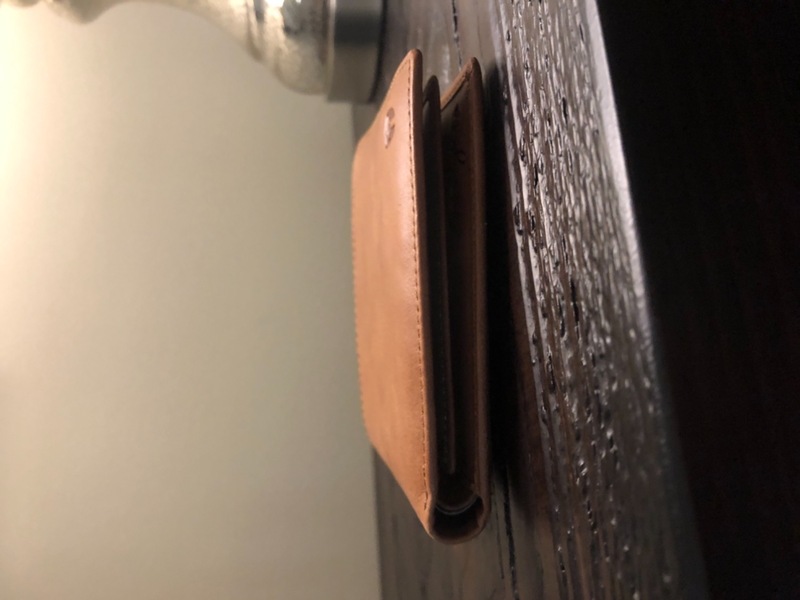 The function of the money clip takes some getting used to but this is a great product "
"Honestly, I can't believe how this wallet has everything I was hoping for. I was looking for a wallet with an ID window, wide enough for foreign currency, that didn't bulge out when all my cards were in, that was also hopefully RFID. 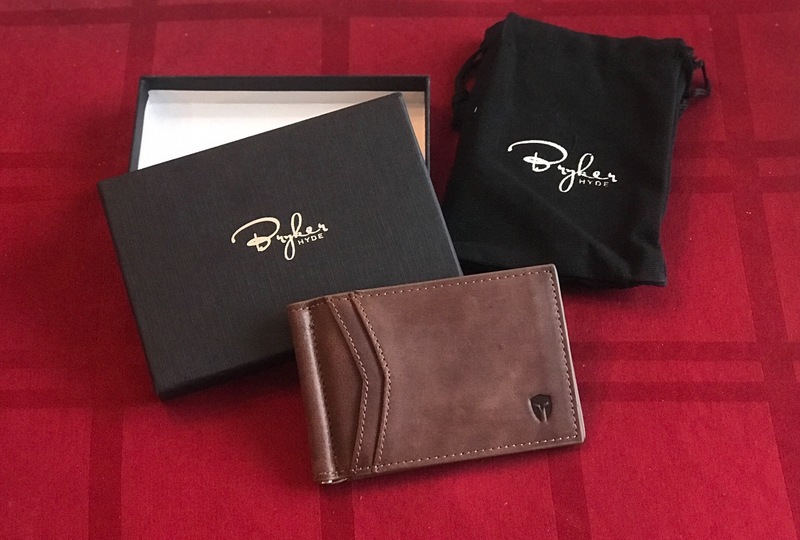 The Bryker Hyde wallet not only checked all those boxes but at half the price of most others while looking even better than them, I couldn't be more pleased!" "Very good. Used it on a flight vacation to Florida. All was accessible on que. " Best wallet I've ever owned! "Great service and product is top notch! Quick shipping also cause I had it within a couple of days literally with standard shipping service. Will definitely buy from them again!!" 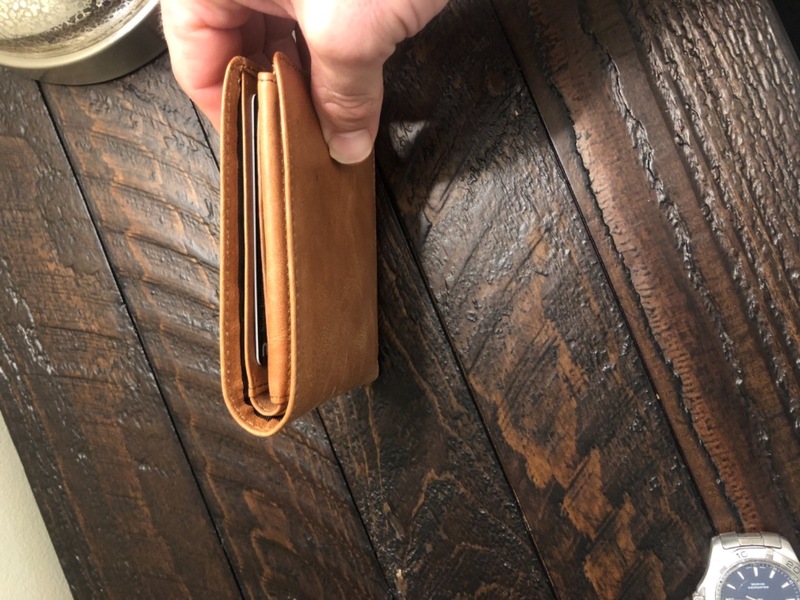 "Very happy with a full size Bryker Hyde wallet, but wanted something smaller. This has been excellent so far and the construction quality has been great. Would recommend." Fantastic little wallet! I've even got my coworkers ordering their own. 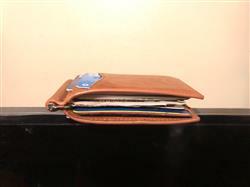 "Its High quality & holds more then I would have thought "
"All I can say is I LOVE this wallet. It fits all my cards, the leather and stitching are on piont, and the sleek low profile is exactly what I was going for! 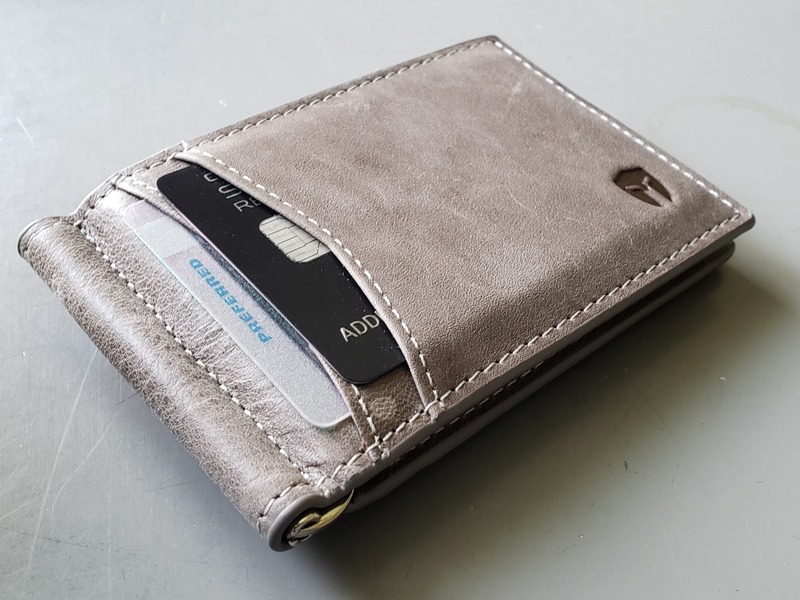 I recommend this wallet to anyone that wants a minimalist wallet that still has a money clip. " "Looks great, and feels great. Appears to be well made, with quality materials. " "Beautiful Wallet best one I’ve ever bought "
"Purchased for my boyfriend for our 3 year anniversary. 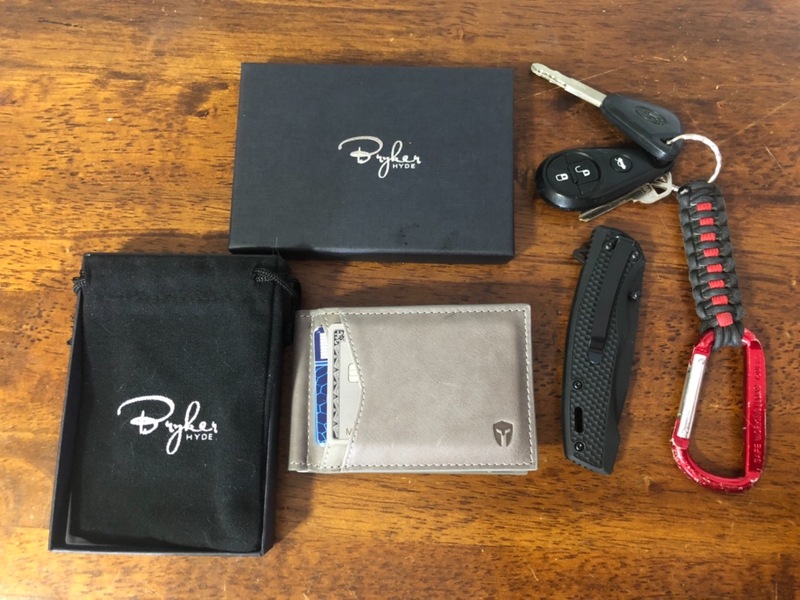 I’ve never purchased a men’s wallet so I wasn’t sure what a fair price was, and when I came across Bryker Hyde, I was impressed with the look, price and warranty. He loves it, he’s been looking for a new one for awhile and is very happy with this wallet. Fast shipping, good product, happy customer." "Love it! Long gone are the days of fat wallets and hurt hips and back. Would highly recommend to anyone considering a new wallet!" 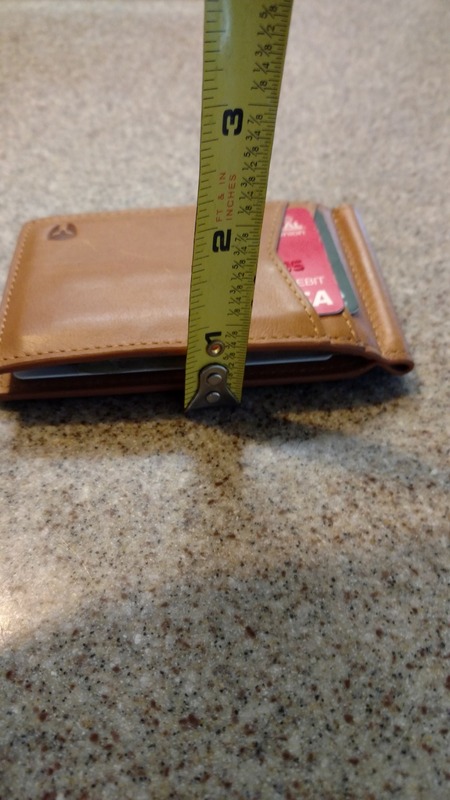 "The quality and ergonomics of this wallet are amazing, especially given what it cost. I have paid 4 times as much for wallets that were not as good as this one. The flip up ID window is very convenient. I am also surprised at how thin this wallet is given it has 8 card slots and the flip ID window. It is thinner and fits better in my pocket than the $150 wallet I lost! Hate to say it, but it was worth losing my previous wallet because it led me to buying this one. I will never again buy an over-priced wallet that doesn’t have the features or is as convenient as this one. " 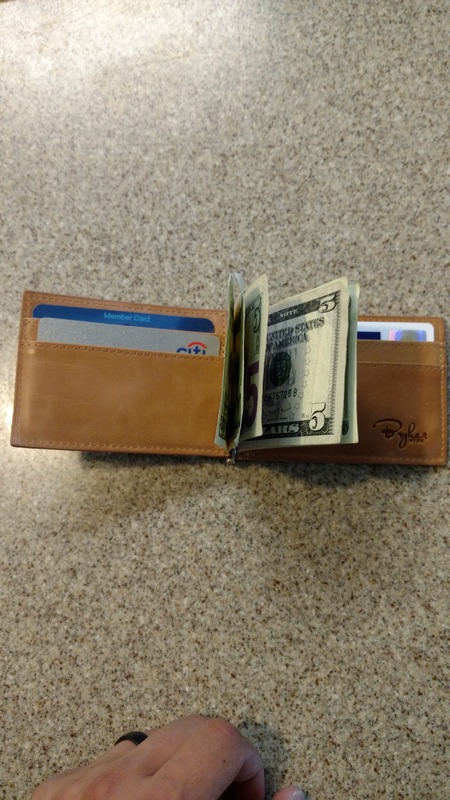 "I am totally satisfied that this is the best wallet I have ever bought. Room for Dollar bills, credit cards, drivers license and yet compact enough to fit in back pocket of jeans. I highly recommend buying this wallet. 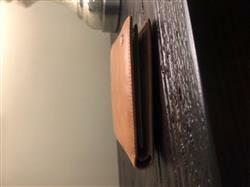 Sam Rubin"
"This quality of this wallet is impeccable. Plenty of storage space for a Minimalist wallet and only 1/2" thick when full. I even put a second card in the ID slot since I have a driver's license and a separate ID for work. Cards slide in and out with ease, but are also held in securely enough so as to not fall out during normal use. This is an extremely durable wallet of the highest craftsmanship and materials. I would recommend this wallet with enthusiasm to anyone looking for a new wallet or simply to upgrade there current wallet." "Just what I’ve been looking for. " "Love it great wallet a great price fast shipping"
"Great. Very nice wallet. 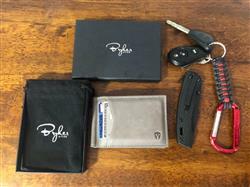 I had an old Polo wallet with same exact configuration that I loved but it didn't have the RFID blocking capabilities and after about 15 years of use the old wallet was looking worn so the new Bryker hyde wallet has great leather and is soft but feels sturdy so no issues should arise and thus far after a week of carry its really worth the money. " "Very impressed with this product! Love the design and configuration. I am a collector of minimalist wallets and this one is the best." 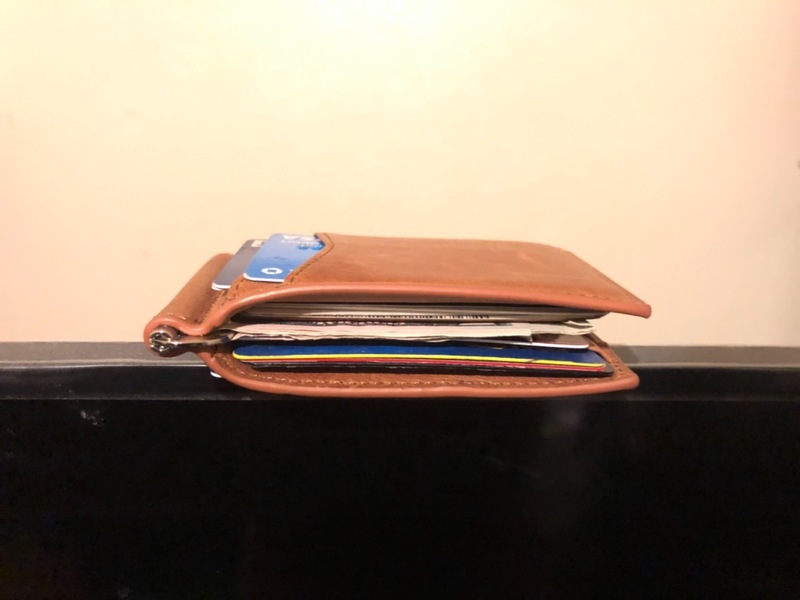 "I was surprised to fit as many cards in this wallet as I could, even though I had to sacrifice some cards it’s completely ok because I have what I need in my wallet. The rest was just irrelevant to have. " "If you like a small front pocket wallets doe not pass this one by. The leather is soft and it has enough room for 8 cards and your DL. 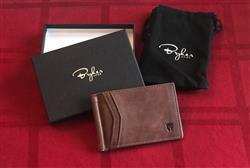 It is perfect and will be buying another one....."
"Amazing wallet. After years of the same wallet I was sketchy about spending $40 for a new one.. but this thing is top of the line. The company also supports the military. Big fan." "IF this ever wears out, I will buy another." "Great style and build quality. I'm really enjoying it"
Exceptional Wallet in so many ways! "It was nearly a catastrophe losing my large bulky wallet at the Duke Medical Center that was found a few hours later thank God. I had to find a decent front pocket wallet then searched for best men's wallet among them was this one. I'm shocked at what is able to be put in this plus it stretches some in a few days to put 2 cards in each slot fantastic product. "